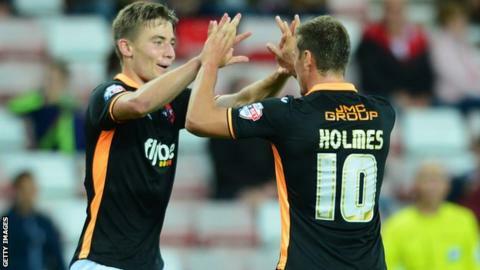 Exeter City's squad has not been in a stronger position for five years, according to manager Paul Tisdale. The League Two side have added a number of experienced players this summer, including Bobby Olejnik, Joel Grant and Will Hoskins after getting £1.75m from Swansea for Matt Grimes in January. Last year, Exeter were placed under a transfer embargo after needing a PFA loan to cover cashflow issues. "We've not been in this situation for maybe five years," he said. "Even in our first year in League One, when we did so well in the first part of the season, we ran out of steam and we had injuries to Alan Gow, Matt Oakley and Liam Sercombe and the team just finished. "If we're going to be a productive team we need to ride that type of misfortune." Tisdale is pleased with his forward line which, as well as Hoskins, also includes the likes of Tom Nichols, David Heeler, Joel Grant, Alex Nicholls and Clinton Morrison. Last season, the club struggled to sign a striker with Graham Cummins joining on a free transfer after the season had started. "It's a lot different to this time last year when we were short on the ground in terms of attacking options," Tisdale told BBC Sport. "We have a really good frontline, a number of options, I can make substitutions and we can ride an injury or two for a period of time because we have enough bodies to be able to continue playing the way we play. "I'm really pleased with how it's shaping up."